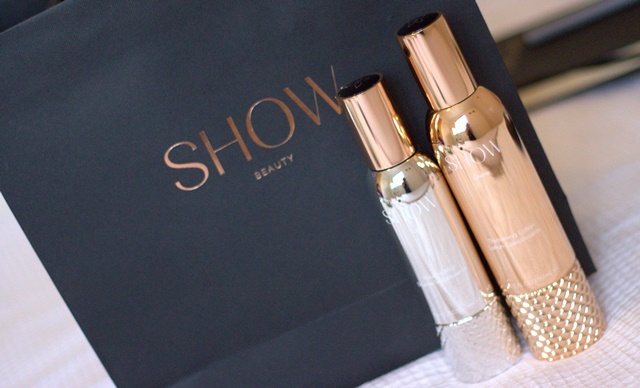 A couple of weeks ago trendy Notting Hill celebrated the opening of a brand new blow dry salon, SHOW. ‘SHOW Beauty is more than a luxury haircare brand, it is a lifestyle statement and a window into the often untouchable world of elite elegance.’ The salon itself is so glamorous, it has a celebrity dressing room feel to it with large mirrors and blush floral displays, the theme of black and rose gold runs through the decor of the salon with touches of silver and gold. Each work station has in iPad on which clients can order from the scrumptious menu from champagne to canapes and then browse through the latest magazines in the NewStand. Downstairs you can experience a different kind of hair cleanse, with large massage loungers in a very boutique environment. 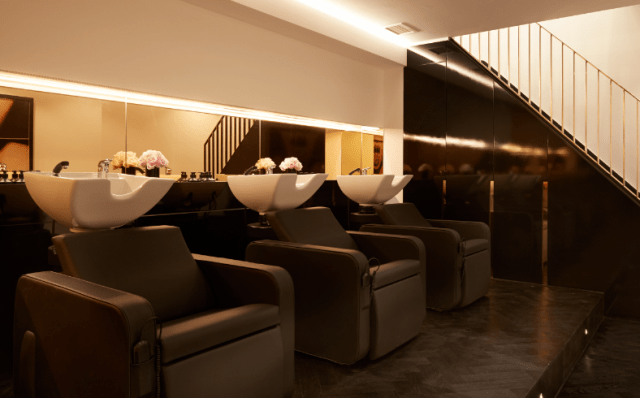 This salon is perfect to get you in the mood just before a night out or a big event. I love the idea of going to the salon with a few friends and sipping champagne before a birthday night out or even for a bridal party. Finally onto the lush products, I left with the Thickening Lotion and the Volume Mist. 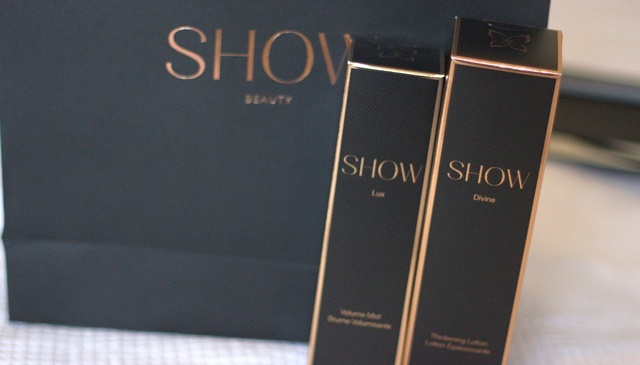 The outer packaging resembles the salon so you feel like you are taking a part of the salon with you.